School of Economics, Law and Medical Sciences (WSEPiNM) in Kielce was founded in 1997 by the Kielce Association for Economic Education, represented by Tadeusz Dziekan, Andrzej Mroczek, Zdobysław Kuleszyński, and Zbigniew Szczepańczyk. In 2003 the School of Economics and Administration (Wyższa Szkoła Ekonomii i Administracji) was renamed to the Professor Edward Lipinski School of Economics and Administration. 2007-2013 its name was the Professor Edward Lipinski School of Economics and Law (Wyższa Szkoła Ekonomii i Prawa im. prof. Edwarda Lipińskiego). Since2013 its name is the Professor Edward Lipinski School of Economics, Law and Medical Sciences (Wyższa Szkoła Ekonomii, Prawa i Nauk Medycznych im. prof. Edwarda Lipińskiego), in short: Lipinski University. The school is based in a modern, centrally located campus, which ranks the school among the biggest private universities in the country. The proximity of the building makes work, study and recreation easy for both students and staff. At present, over 3000 students are educated at the university on undergraduate and graduate programmes and within fourteen specialisations. Lipinski University is the best private institution of higher education in the region and ranks among the most prestigious private universities in the country. League tables published by Polish magazines and newspapers (Polityka, Wprost, Newsweek, Rzeczpospolita) consistently rank our university among the top institutions of higher education in the country. The school’s educational achievements and involvement in local community life has earned it numerous awards and distinctions. 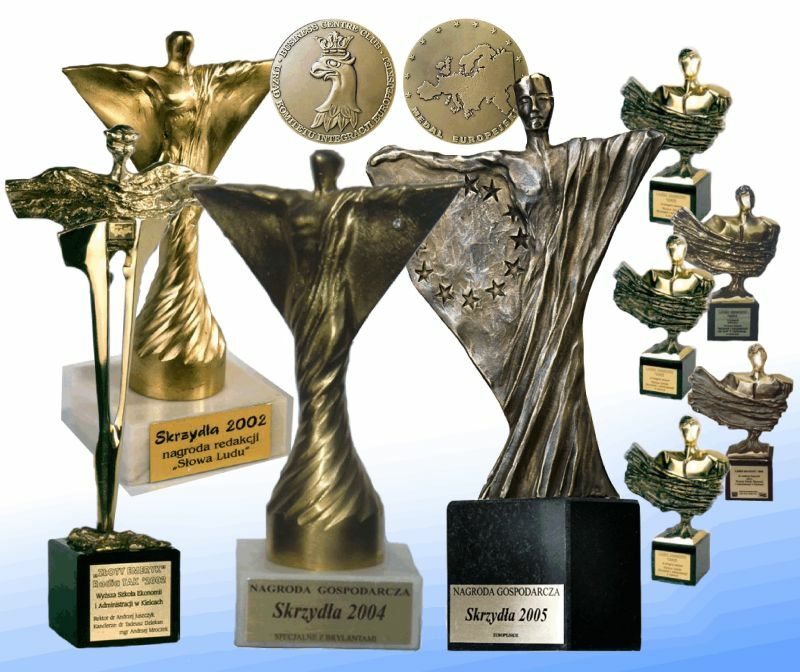 Among the awards were “The Leader of the Region”, “Wings”, “Special Wings with Diamonds”, “European Wings”, “Golden Emeryk”, “Eagles of the Republic”, “European Medal”. In 2006 Lipinski University was nominated for the prize “The Leader of Polish Business”, awarded by Business Centre Club. In 2008 the School won the “Cent of future” award in the “Product with a future” category. Full-time, extramural and blended learning systems of studies. ECTS (European Credit Transfer System) and Transcript of Records in English as a supplement to a diploma issued by School of Economics, Law and Medical Sciences, enables a student to follow an individual path of studies, including studies abroad. In 2007 the university was granted the “extended” Erasmus University Charter (PL KIELCE05). 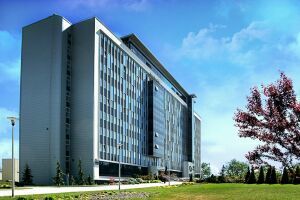 Lipinski University has three research centres: – Academic Centre for European Studies (ACSE) – Academic Centre of Regional Research (AOBR) – Centre of Research on Territorial Self-government (OBST) These centres support research and teaching at the school’s basic organizational units and carry out surveys and compilations for bodies of government administration, enterprises, schools, associations and non-governmental organizations. Students have the opportunity to be granted the Ministry of Education scholarships. Student grants are also given by the school. The educational offer of the school is supplemented by postgraduate studies, among them the Executive Master of Business Administration (MBA) studies – the only such programme in the Świętokrzyski region. The MBA course is carried out in Polish and in English and is validated by the Rotterdam School of Management – part of the Erasmus University in Rotterdam. 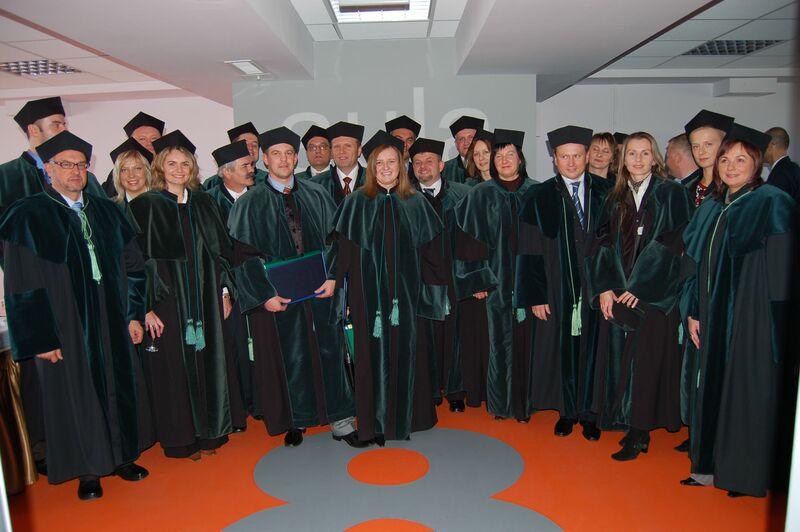 The participants of the MBA course, after meeting all the requirements provided in the regulations and a positive evaluation of the diploma project, are awarded the MBA diploma attested by the Gdańsk Foundation for Management Development and the University of Gdańsk and validated by the Rotterdam School of Management Erasmus University or IAE Aix-en-Provence Graduate School of Management. Lipinski University awards postgraduate diplomas according to the provisions contained in the ordinance of the Minister of National Education and the Minister of Labour and Social Policy of 12 October 1993. Students Research Circles offer an opportunity for the students to deepen their knowledge and to take part in research work, symposiums, educational trip, meetings with representatives of science, business, politics and culture. The outstanding achievements are presented during inter-school Conferences of Student Research Circles which are organized every year at the Lipinski University. Papers, reports and other compilations are published in the Students Research Papers. The University publishes also research papers of its staff. The publications include textbooks and academic lectures, reports on own research projects, conference and seminar papers, periodic publications. The students' journal "Student" keeps everybody up to date on the events that take place at the university, the current issues of the academic community and provides a forum for our young authors' literary works. Careers Office has been working at the University since 2002. Its most important mission is supporting students and graduates in their pursuit of a good career. Careers Office offers training and advice, organizes workshops, gathers and provides information about workplaces, domestic and foreign apprenticeship and possibilities of improving qualifications. Sports Club comprises five sections: women and men volleyball, football, skiing and swimming. Qualified Tourism Club organized several interesting events combining tourism and extreme sports e.g. The Crown of Polish Mountains (climbing 28 peaks in 11 days and 8 hours) trekking along the mountainous southern border of Poland (from Wołosaty in Bieszczady to the Izerskie Mountains in Sudety). Furthermore, the Sport Club organizes the annual Holy Cross Mountain rally that commemorates Poland's accession to the European Union. The cultural life of School of Economics and Law concentrates mainly in the Student’s Club. Some of the events organized in the club are cyclic, as for example Przekaz sztuki – sztuka przekazu (The message of art – the art of message) – concerts, exhibitions, film festivals and meetings with authors, Economic Discussion Salons and Political Discussion Salons, the Music Scene of Club – performances of student’s bards, concerts of classical music, jazz, performance of youth groups, Movies in Original Version – film shows in English, German and French languages. Traditional student festivities, such as Juwenalia, Otrzęsiny, Andrzejki, Halloween and a varied night life offer make student life in Kielce an unforgettable experience.